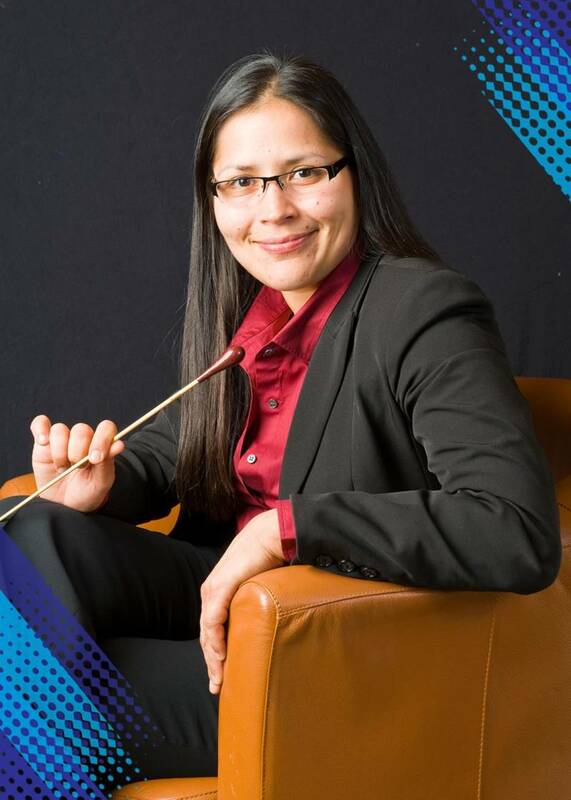 Jessica Bejarano isn't your average classical conductor. 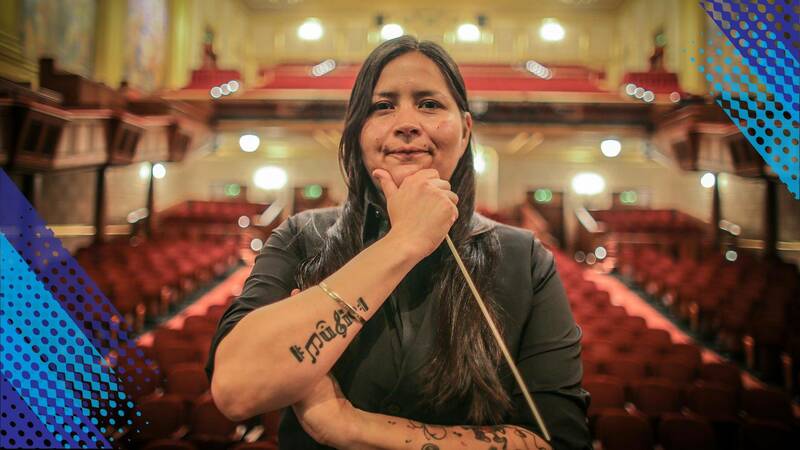 As a tattooed Mexican-American woman holding the baton, she stands out on just about any orchestra's podium. The thing is: Bejarano's been on a lot of podiums, all over the world. When she isn't at home conducting the San Francisco Civic Symphony or serving as music director for San Francisco University High School, she keeps busy conducting overseas in countries like Russia, Bulgaria, Italy, Romania, Spain, Venezuela, and the Czech Republic, and with orchestras in the U.S. from Santa Cruz to Baltimore. That's no small feat for someone who grew up in Bell Gardens, the largely minority and low-income city southeast of Los Angeles, where "classical music was not a thing, by any means," Bejarano says. 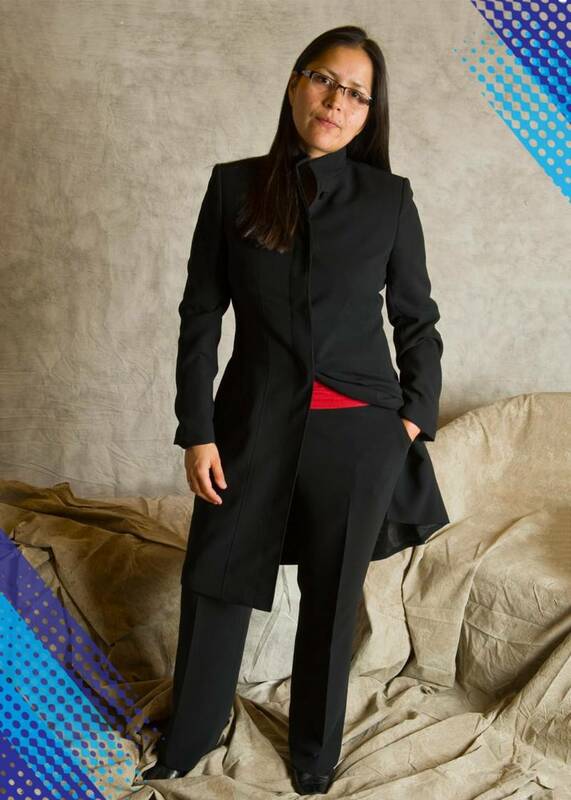 Add to that a rough coming-out experience, and the numerous times she was told point-blank that she'd never be a successful conductor in the U.S. due to her looks and background, her stature in the classical music world becomes even more impressive. Now, she uses her position to lift up others. 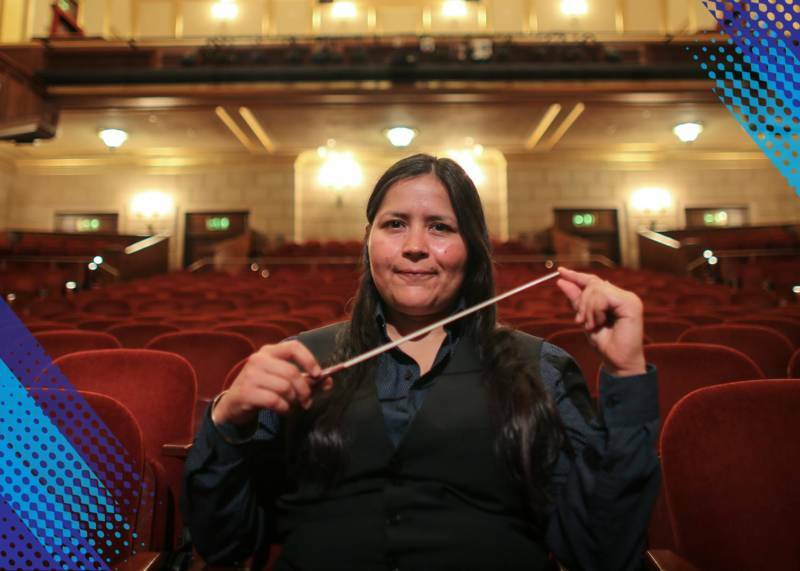 Recently, Bejarano invited San Francisco Symphony violinist Eliot Lev, the first openly transgender member of a major American orchestra, to perform Tchaikovsky's Violin Concerto in D Major with the San Francisco Civic Symphony—an 85-member orchestra that's among the most diverse in the region. 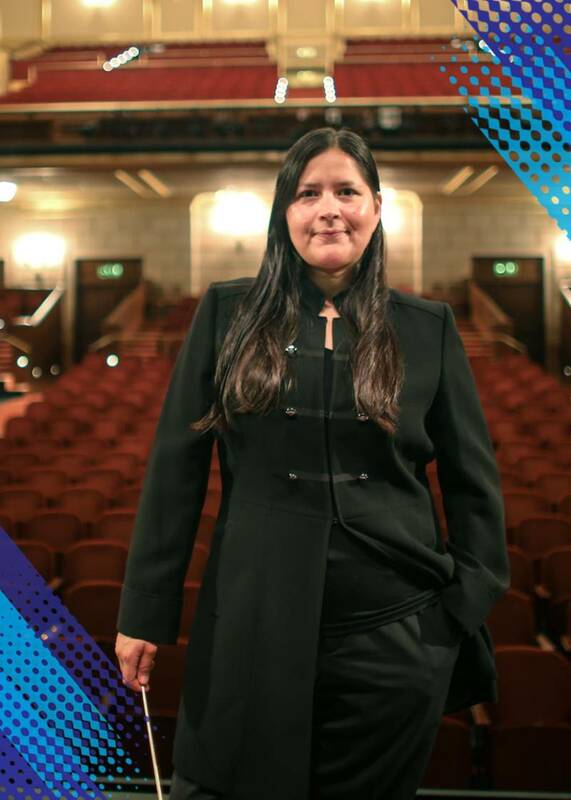 And whether as a teacher, conductor, or director, Bejarano's approach is the same: "There's a wonderful magic that comes with inspiring people," she says, "and knowing how to motivate them." What was your introduction to classical music? Did it feel exclusionary to you? Yes. I didn't discover classical music until my first year of college. In order to fulfill my scholarship, because I was a trumpet player, I had to play in a few ensembles. I sat in the orchestra, and I remember it was Beethoven's Fifth Symphony, Smetana's The Moldau, and a Vaughan Williams requiem. And I remember just sitting there, blown away. I was like, "Where did this come from? Where has this been?" It was like that music was already ingrained in my body, but it just needed to be activated. Initially my undergraduate degrees were in music education; I wanted to be a music educator at a top-notch high school or at a college. But then I had the epiphany that I wanted to be a conductor. And if I had stopped for a minute and been like, "Okay, let me do some research and look at the history. How many women are in this field? What does it look like? How many women exist in this country or outside of the country in this field?" If I'd have done that kind of homework and seen the statistics, or lack thereof, I might've been dissuaded and been like, "Whoa, this is gonna be more of a battle than I'm ready for." But I didn't look at any of that. I didn't look at the lack of females in the field. I just knew that I was motivated, I was thirsty for it, and I was passionate about conducting and being a leader. So I just went for it. What kind of challenges and obstacles have you faced? Many. Maybe too many. But it's those obstacles and all those "no"s that I've been told that I've used to my advantage. Every time I was told no, and every time I got a letter saying "thank you but no thank you," or every time I was told I couldn't make it as a conductor in this country, I would take that energy and use it to motivate me and to keep that fire burning even brighter. Not all the people that mentored me were good to me. Not at all. There is a thing that people call tough love. I would just call it tough. What was your coming-out story? Oh, that's not a pretty story. I was outed when I was 13, 14 years old. I told a cousin in confidence and he turned around and told my mother. My family being Mexican, very religiously driven and culturally driven, the woman is supposed to get married, be a wife, be a mother, bear children and so forth—I'm like the complete opposite of that. I was defying our culture, I was defying our religion. And then they were immigrants as well, so there was just that fear behind it. My mother and family did not take it well whatsoever. It took them years, years, years to get over it. And then by the time I was in college, when a bunch of my cousins came out, they were just like, "Okay, I guess it's fine." How does it feel now to not just have these accomplishments and this career, but to be able to help others who may have been told "no" along the way? I'm starting my third year with San Francisco Civic Symphony. It's a full size 85-piece orchestra; they're the oldest community orchestra this side of the Mississippi. They've been around for over 80 years. The thing about that orchestra, it is a community orchestra, and you get an array of talent. So, for me as a director, it's like, how do I make it all-inclusive for everyone? For me, no matter if it's a professional orchestra, a community orchestra, as a director, my philosophy when I work with musicians is not to demand and insist, but to motivate and inspire. And when I have that kind of energy with my musicians, it keeps them on their toes. It keeps them on the edge of their seat and it keeps them in tune. No one wants to listen as someone berate them over and over again, and just hammer over them how awful they are or they're not getting this right. There's a wonderful magic that comes with inspiring people and knowing how to motivate them. How does living in San Francisco inform your work and what you do? I've lived here 11 years now and I love this city. I absolutely love this city. Let me tell you what this city means to me. After I graduated from UC Davis, I had a plan to go to Europe conducting in Romania and Italy, travel around Europe, come back, and drive to South Carolina, because I got accepted to start my DMA in orchestral conducting. Long story short, I was offered a job at the Peninsula Symphony down in Los Altos. Assistant conductor, Peninsula Symphony, four-year contract. And it paid $2,000 a year. After taxes, $224 a month. I had 24 hours to decide if I wanted to start my Doctorate like I'd planned, or be conducting in the Bay Area on $2,000 a year. And San Francisco, as a kid, has always been my dream city. For me it was like gay Disneyland. I've always wanted to be here, but it seemed like my life was never going to bring me here—until this position came to fruition. So, I reached out to my mentors. I was like, "What would you do? What would you do?" Hands down, everyone said, "Take the job. Because you're going to get your foot in the door. You're actually going to be a conductor." So, I took my first job... for $2,000 a year. Obviously I have a love of music. But growing up in a very poor community and a poor family, I only grew up with my mother and she worked two, three jobs. She worked at Toys 'R' Us. She worked at a hamburger joint. She worked at a Pick 'n Save. In the evenings, she would go collect cans and plastic bottles to recycle them and make more money. Later, when I was in college, my mom was working at a casino. You know those people that stand in the bathroom, that clean the counters and give you mints? That was my mom. She would push around the trash can. That was my mom at a casino in L.A. I remember seeing her struggle, and wanting to be successful as an adult so that one day I could knock on her door and tell her, "Today you're going to quit your job because I'm going to support you for the rest of your life. I'm going to take care of you now that you've taken care of me my entire life and given me everything that I needed. Now it's my turn to take care of you." That was always my goal. That was always my dream. Unfortunately, five, six years ago she passed away from a massive brain aneurysm. And it happened on Mother's Day, too. It was the lowest point of my life. It kept me quiet and dormant for about a year to process. But once I came out of it, I still kept her and that momentum and that inspiration going even stronger. Because even though she was gone and I couldn't knock on her door to have her quit her job and let me take care of her for the rest for life, I could still make her proud. Even though she's not here, I could still make her proud. That's what drove me to begin with and what continues to drive me now. It's getting incredibly tough for anyone to live in the Bay Area. Most artists that I know have multiple jobs in order to live comfortably. Even me—I'm also a music director at San Francisco University High School. But it's worth it. It's absolutely worth it. I can't believe that I get paid to direct the San Francisco Civic Symphony, and to conduct the orchestra and the music program at University High School. That I paid to do all these things as my career, as my living, in San Francisco! For me, it's a blessing. I remember when I first moved here, I would literally sit right on that corner where City Hall is, that green patch of grass, kitty-corner to Davies Symphony Hall. I would sit there with my sandwich, my legs crossed on the grass, and I would just stare at Davies and think, and wonder, and get myself going, "It's there and it's possible. It's tangible. It can happen. It can happen." I was just keeping myself inspired with that $2,000 a year in my bank account. Conducting a Tier 1 orchestra, it's still a goal, but my goals are more flexible now, where I don't have to necessarily have a Tier 1 orchestra to be a great conductor. I can be an amazing conductor at the San Francisco Civic Symphony and be as inspiring and as effective musically, and personally. People think music, it's a hobby or something, but the power of it can be so immense and intense. It took this girl out of the ghetto. I've been traveling around the world and working with so many different musicians on so many different levels and I've done so much with my life because of music. It saved my life. It literally saved my life. For artists, despite the financial challenges that may come with being an artist, I think music or the arts give you something much more than financial gain, that's worthy of seeking and pursuing. So, an ideal future might be getting enough of that reward to offset the meager financial reward. Learn more about Jessica Bejarano here.